In what seems like an obvious decision, the Supreme Judicial Court struck down EDS’s policy to deny employees a payout of earned vacation upon termination. The decision, Electronic Data Systems Corporation v. Attorney General, confirmed that when an employee earns vacation and is fired, the employer must pay out that employee for all vacation earned up until the date of termination. EDS’s written vacation policy stated that “vacation time is not earned and does not accrue. If you leave EDS, whether voluntarily or involuntarily, you will not be paid the unused vacation time.” An employee named Francis Tessicini had used only 1 of his 5 vacation days at the time EDS terminated him. When EDS refused to pay out Mr. Tessicini for his remaining 4 days of unused vacation time, he complained. The Attorney General agreed. This should not surprise. To permit employers to write vacation policies effectively removing earned vacation payments from the Wage Act would gut the legislated protections for vacation pay and subject employees to the very “dictates and whims of shrewd employers” the Wage Act was designed to prevent. In addition, such a ruling might encourage employers to avoid cleverly the structures of the Wage Act by loading their compensation packages with “vacation” pay and making it forfeitable upon termination. It might also embolden employers to expand their written forfeiture policies to include other defined wages – earned commissions and regular wages – even more serious causes for concern. 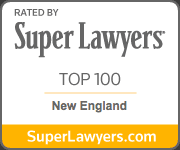 Philip Gordon submitted an amicus brief to the Supreme Judicial Court, supporting the Attorney General’s view, on behalf of the National Employment Lawyers Association, Massachusetts Chapter..